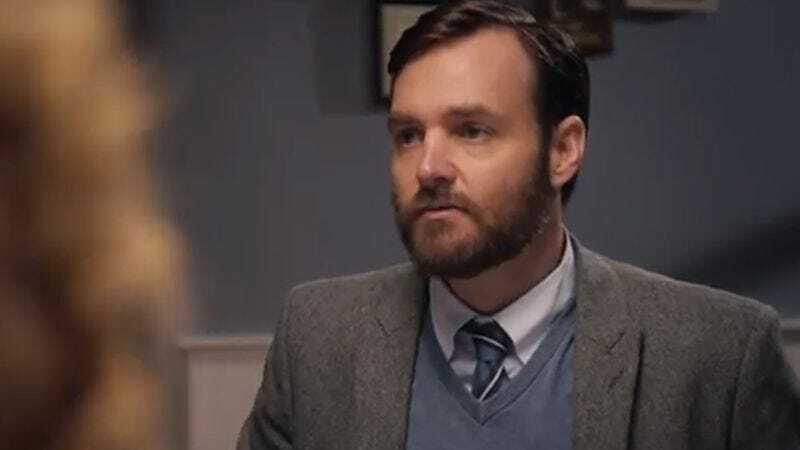 Before Will Forte headed to Nebraska with Alexander Payne, he made a small Irish movie called Run & Jump that played a few film festivals before getting a quiet January release. Even though Forte made Nebraska after Run & Jump, the former enjoyed a Cannes premiere and a plum limited run in November of 2013, making it the first time many took notice of the MacGruber star’s striking emotional depth and sensitivity. As a result, the actor’s performance in this more obscure picture has been completely overshadowed; the film itself demands to be discovered, as the type of gem one might stumble upon while browsing Netflix. Forte costars as Dr. Ted Fielding, a standoffish American neuropsychologist studying the effects of a rare and debilitating stroke on 38-year-old Conor Casey (Edward MacLiam). Conor’s just returning home from several months in intensive treatment, and he’s a radically different person than the one that his wife Vanetia (Maxine Peake), son Lenny (Brendan Morris), and daughter Noni (Ciara Gallagher) used to know. In addition to suffering from more typical stroke side effects like aphasia, Conor is aggressive, verbally abusive, and confused, often searching restlessly for something he’s lost or making endless round balls in his woodworking shop instead of the furniture that was the family source of income. As part of his research, Ted records Conor and his loved ones extensively, hoping to ascertain how deeply the man was affected, and perhaps how much improvement Vanetia can hope for. As the Caseys gradually adjust to their jarring new reality with this “new” Conor, they get used to and begin to enjoy Ted’s company, and vice versa. There’s a lot to like about the Caseys, such as Noni’s fondness for animal costumes, Vanetia’s love of dancing and mischief, and Lenny’s quiet resolve. It’s a pleasure to watch everyone get comfortable with each other; soon enough, Ted is driving Lenny to swim practice and is happy to carry Noni when she’s tired from a day at the zoo. Ted’s growing familiarity with the Caseys doesn’t go unnoticed among Conor’s family or Vanetia’s single friend Tara, played by the reliably fantastic Sharon Horgan (Pulling). By the time Ted’s two months are up, he and the Caseys will be changed forever. Cowriter and director Steph Green eases the audience into seeing Will Forte’s serious side; at first he’s a blurry figure in a sports coat holding a video camera, seen through a rainy window as Conor and Vanetia return home from the hospital. We get used to his presence as a disembodied voice; by the time he appears in his full professorial ensemble, it’s not really a surprise. Forte’s face, often contorted for comedic effect, is equally effective conveying a scholarly melancholy. The performances in Run & Jump are across-the-board excellent, and perhaps Ted wouldn’t seem nearly as remarkable a character if he weren’t played by a former SNL goofball. Either way, credit must be given to this marvelous movie for giving Forte the encouragement he needed to get serious about his career. That doesn’t let him off the hook for MacGruber 2, though. Availability: Run & Jump is available on DVD, which can be obtained from your local video store. It’s also currently streaming on Netflix, and can be rented or purchased through the major digital services.